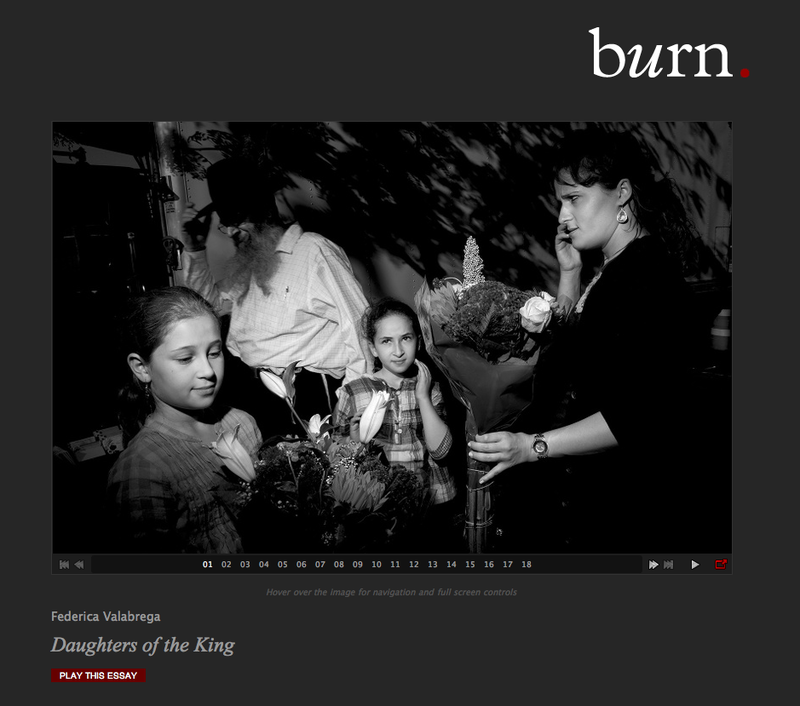 “Daughter of the King,”a photo essay by Federica Valabrega on Burn. It has been about five months since I have started hanging out on Kingston Avenue in the heart of the Chabad Lubavitch of Crown Heights in Brooklyn and little did I know, this interest of mine have now turned out to become an almost-daily self-serch through a photographic experience. My journey with my Jewish roots has been put on a hold for many years, it’s time now to unveil what is impeding me to get a cleared vision of what makes me a Jewish woman and why I shall not feel inferior to the men in my faith. Why are women not allowed among men and why they are not to touch the Torah with their bare hands? Why are they to braid the Challah and why are they the ones who have to light the candles on Shabbat, but they cannot be more involved in the tradition of Jewish learning? The whole point of my project is to show, using photographs of daily chores, prayers, touchy moments, or simply every-day things Jewish women do that their lives are indeed as religious and involved in Torah study as the men’s, just the way women’s do it is by taking care of ten different other things at once. Do not get me wrong, I am not playing the femminista here, I am just trying to show what I am witnessing with the eye of a photojournalist who, as a non-orthodox Jew born from a non-Jewish mother and converted at birth, these women do actually sleep an average of five hours a night and their lives revolved around the ones of their children and husbands. But, in the end, they are still stunningly beautiful, alive and greatful for having breast fed eleven children in less than 11 years. They still find the time to have a part-time job and jog in the park before the put their children to bed. Some of them teach Torah to other, younger mothers who converted later in life. Others own their own business. Men are present in their children’s life too, obviously, but they are out of their homes from 7 am (morning prayer) until after midnight (night prayer). They come home for breaks from work and to eat dinner and, some of them, take the time to “learn” (study the Torah, the Talmud and the teachings of the Rebbe for the Lubavitch sect) with their children at 5am, but mostly, it’s the mothers who schedule their part-time jobs around their children’s school schedule and then raise them to be their best. There is nothing “inferior” though, just a different way of dividing roles. A very functional one. A very strict one. A very Orthodox one, some would say. But, yet again, a very interesting to explore for me.